A federal judge on Tuesday granted Rod Blagojevich an extension to his surrender date, giving the former Illinois governor an extra month before he is set to begin a 14-year prison sentence for corruption. But, the disgraced politician had already been preparing for time away from his family -- taking the clan out on Monday to adopt a new puppy. The new pet, an 8-week-old Maltipoo (half Maltese, half poodle) named Louella, was adopted from the PAWS Chicago animal shelter on Monday night, according to CBS station WBBM in Chicago. Blagojevich said that his family decided to adopt another dog in order to ease the changes that were going to happen to his kids. "We feel that these are tough times for our family, and we feel that this little puppy and Skittles over here are comforting, and they're just something that our little girls can love and cuddle with," Blagojevich explained to WBBM. The family said they would rename the new dog Twix to fit in with the Blagojevich's other candy-named pooch, Skittles, according to PAWS Chicago executive director Rochelle Michalek. Michalek told the Chicago Tribune that the family inquired about adding another poodle mix to their bunch last week. Their first pick didn't quite get along with Skittles. According to the Associated Press, the Blagojeviches got their first dog about three years ago to help his two daughters - Amy, 15, and Annie, 8 - deal with the news that their father had been arrested. He explained to the Associated Press in an interview that if he ever went to jail he told his daughters that they could "get another dog and call him daddy." Blagojevich was supposed to report to federal prison on Feb. 16, but learned on Tuesday that he wouldn't have to go until March 15. U.S. District Judge James Zagel granted the former governor the extra time in order to sell his Ravenswood Manor home and help his family move into a new residence, according to the Chicago Tribune. If the house sells before then, he will have to report earlier. 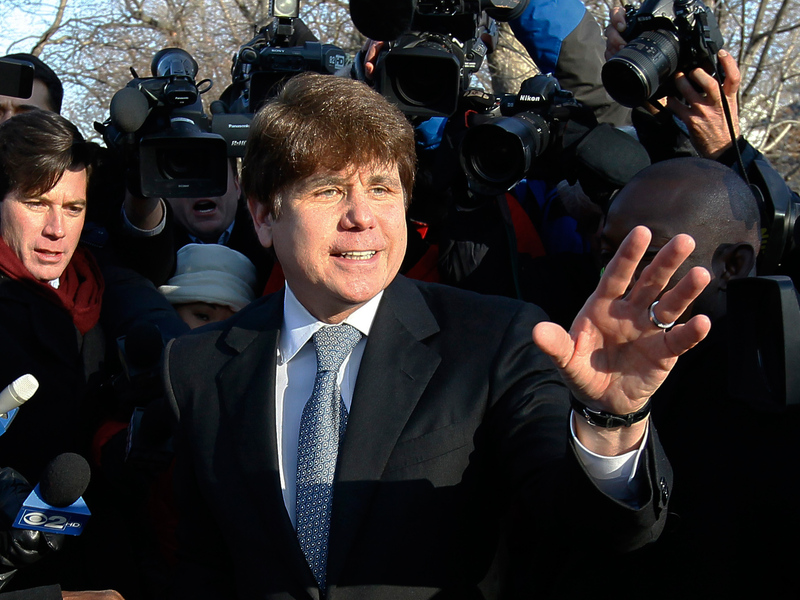 The Chicago Tribune added that judge also agreed with Blagojevich request and recommended a low-security facility for the former governor to serve his sentence. If the U.S. Bureau of Prisons agrees, Blagojevich will head to the Federal Correctional Institution Englewood in Littleton, Colo. The low-security facility is considered one step more restrictive than a minimum security "prison camp." But Blagojevich's attorney Sheldon Sorosky told the Chicago Tribune that the federal government will not usually consider prison camps for those who are sentenced to 10 or more years in prison; Blagojevich is facing 14. Both prisons have dormitory-style living situations, but low-security facilities have secured perimeters, and prison camps do not, according to the U.S. Bureau of Prisons.